The Pakistan Army on Wednesday initiated indiscriminate firing of small arms, automatics and 82 mm Mortars in the Bhimber Gali sector along the Line of Control (LoC). The firing started around 5.00 a.m. The Indian Army is retaliating strongly and effectively. Yesterday, a third grenade attack took place in J-K's Pulwama district on a police station. This attack came minutes after terrorists lobbed a grenade at a Central Reserve Police Force (CRPF) camp in Pahalgam's Sarnal. As many as nine CRPF personnel were injured in a grenade attack on its camp in Jammu and Kashmir's Tral. Earlier on June 12, the Pakistan Army had violated ceasefire in Jammu and Kashmir's Krishna Ghati sector. On Sunday, the Pakistan Army violated ceasefire in Jammu and Kashmir's Naushera sector. 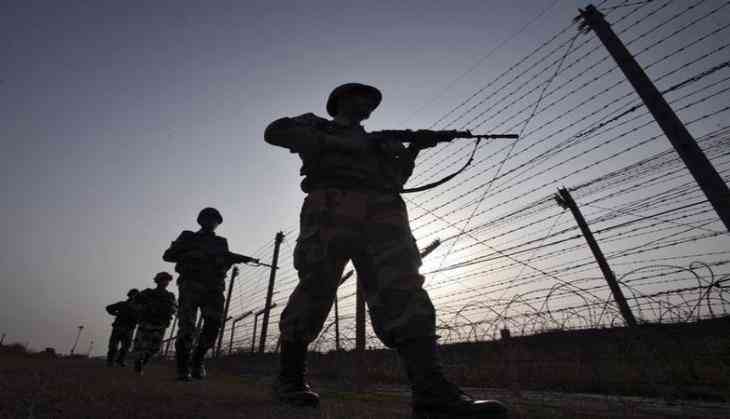 The Pakistan Rangers had, earlier in the day, violated unprovoked ceasefire on forwarding Border Security Force (BSF) troops in Jammu and Kashmir's Ramgarh sector at 10.45 a.m. In the another incident earlier in the day, the Army retaliated to a ceasefire violation by Pakistan along the LoC in the Bhimber Gali sector in Rajouri district at 9.45 a.m.
On Saturday, the Pakistan Army initiated indiscriminate firing of small arms, automatics and mortars in the Krishna Ghati sector of Poonch district along the LoC. In all these incidents, the Indian Army posts retaliated effectively.